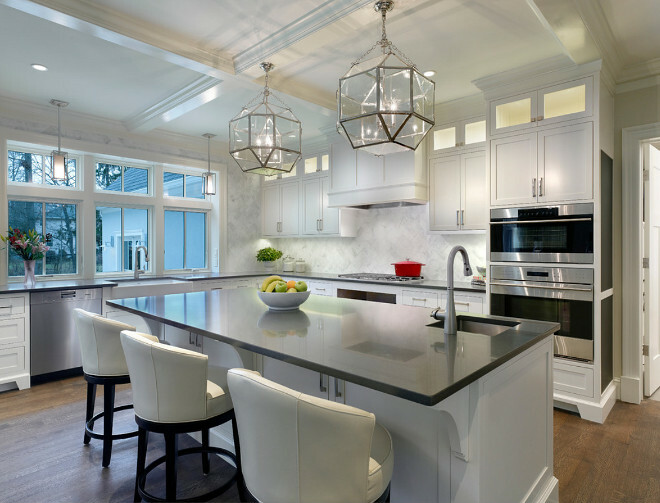 A friend recently ask me for a few suggestions to help her choose multiple light fixtures for her open kitchen/dining space. They remodeled this space and wanted to upgrade their light fixtures. New lights is an upgrade that can totally transform a room so I thought these ideas would be good to share here, too. First, I suggest using a site like Wayfair.com to help you sort through the choices by preference. If you click on this link you'll notice that you can sort by primary material, finish, style, price, and so forth. I find this to be very helpful to narrow your options and keep your choice focused on your desired style. Lighting can be very expensive so I also like sites like this that allow you to sort within your price range. 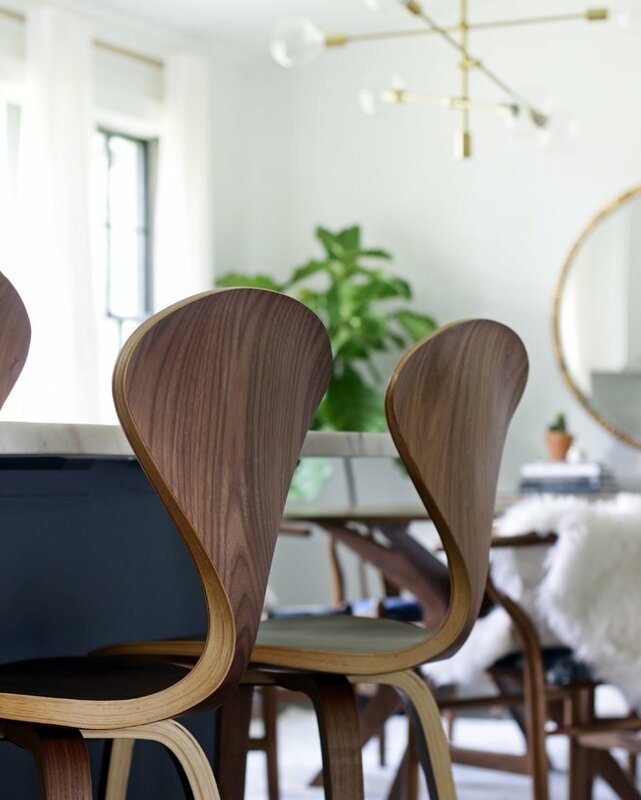 Whether it's chrome, crystal, wood, bronze, satin nickel or something else, go with one finish. This will create a unified look despite the different fixtures. Mix it up by type. 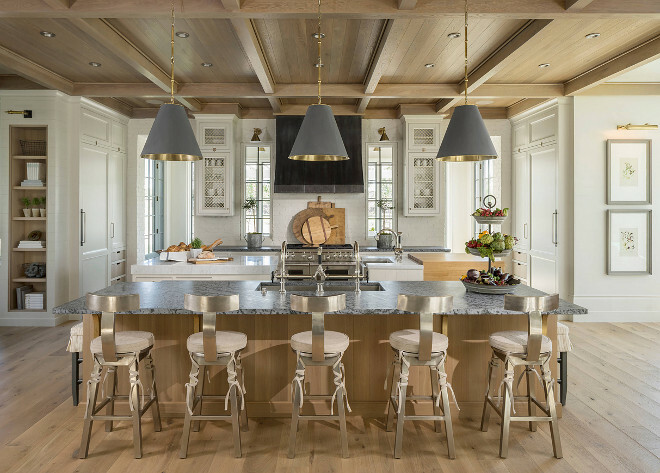 Here, lanterns are used above the island, and pendants are used above the sink. You might try a lantern in your entryway, a chandelier above the table and pendants in the kitchen. In the entryway, fixtures should have a minimum clearance of seven feet. Multiply your ceiling height by 2.5 or 3 for an appropriate diameter. 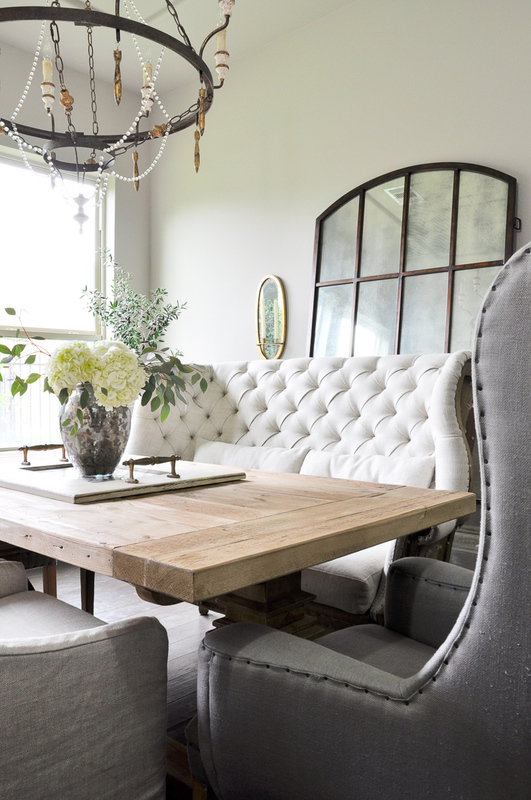 Your dining room chandelier's diameter should be 12 inches smaller than your table's width. 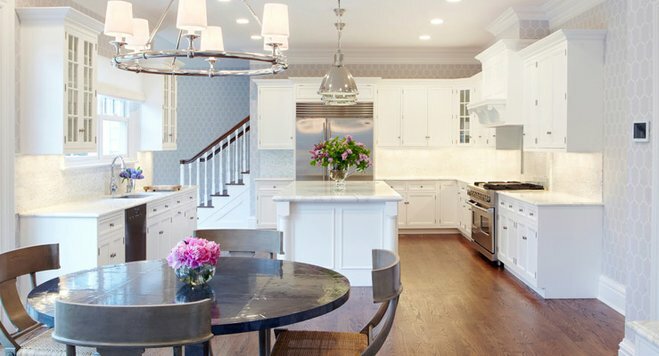 Leave 36 to 40 inches from the countertop to the bottom of your light fixtures above a kitchen island. For more information, here is a link to the American Lighting Association. If you have any reservations about your decision, I recommend seeking advice and help from an interior decorator. 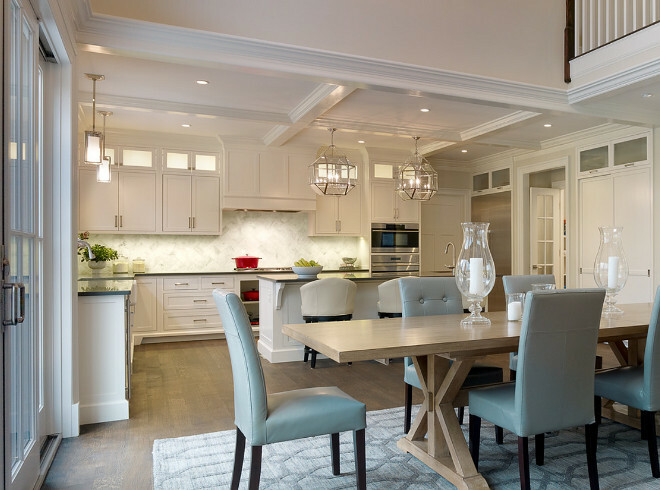 Interior designers understand how color, lighting, room size, scale, and placement all affect how items look in a room and dictates whether they will make or break a room's design and style. I hope you find this information helpful! Have a wonderful day!